Soak up the sun and admire Spain’s beautiful Costa Daurada coastline onboard a Cataventure Catamaran Cruise..Sail out of Cambrils Harbour near Salou. Cataventure Cruises are on high performance well maintained boats with highly trained, experienced crews and are suitable for all ages. During the cruise the boats drop anchor for 1 hour in shallow waters so you can swim and with equipment for snorkelling provided. The 12.30h 3 hour cruise includes: lunch, wine, beer,cava, soft drinks and transport to and from the boat, the 15.30h trip includes snacks with drinks and the all day trip includes all you can eat barbeque and drinks. All includes the chance to swim and snorkel and relax as you listen to background music. 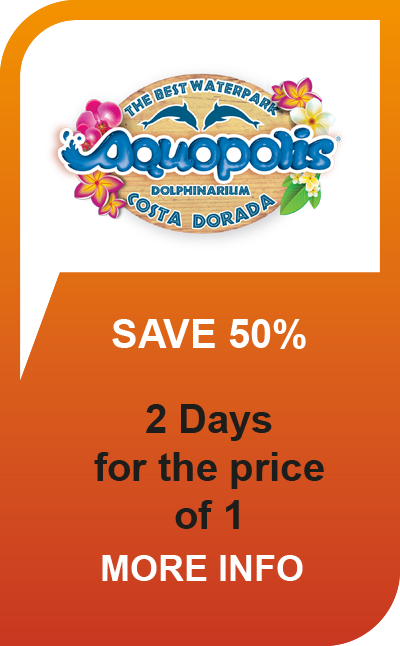 Tickets for Catamaran Cruises can also be combined with 1 or 2 day passes for PortAventura World. Catamaran cruises close for the season in October but will start again in April 2019. Book your next year party now!